South Park is home to a number of conveniently accessible businesses – all within walking/biking distance. Before venturing out of the neighborhood to the nearby Brown Street business area or the Oregon District, be sure to check out the list of businesses below – the item or service you are looking for might be something closer than you think! The Home Group Realty Co. 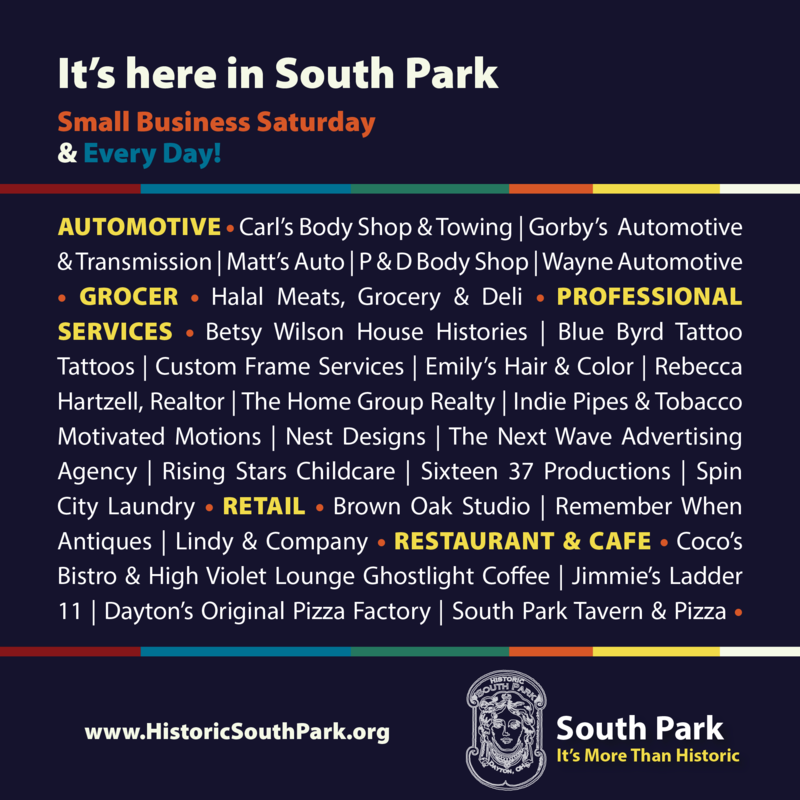 This page contains general information about businesses located in the South Park Neighborhood in Dayton, Ohio. Inclusion in this list is subject to the review, consideration and approval by the webmaster and/or Historic South Park Inc. Placement on this page should not be considered as an endorsement or a reccomendation.